Farm Fuels recycles most of Jersey’s timber packaging waste, providing a range of solutions, which efficiently manage this segment of Jerseys recycling requirement. Collected material from municipal, wholesale, retail, construction and domestic customers is sorted for direct reuse or recycled into a range of products. 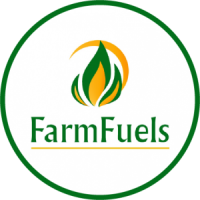 These products in the form of kindling wood, landscaping and animal bedding products are either packed under the customers own label or the Farm Fuels™, Colourbed™ or Timberbed brands. Complimenting our exports of kindling we are also importers of kiln dried hardwood logs, Heat Logs, wood pellets and firelighters. From the logs that keep you warm to the pellets that bake the bread we provide………“the best a fire can get”. We ensure that all saleable and repairable pallets are separated and graded providing an efficient pallet supply service to other Jersey exporters as well as directly exporting significant volumes of pallets for reuse.